On 29 November 2017, Ofcom published its Annual Report on Children and Parents Media Use and Attitudes. It provides detailed evidence on media use, attitudes and understanding among children and young people aged 5-15, as well as about the media access and use of young children aged 3-4. 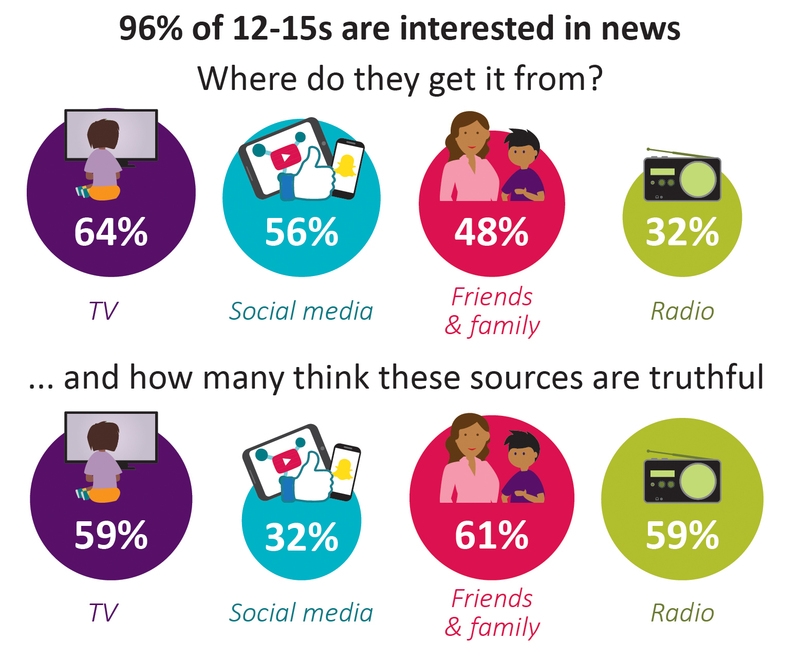 The report also includes findings relating to parents’ views about their children’s media use, and the ways that parents seek – or decide not – to monitor or limit use of different types of media. This year’s edition includes findings from an additional online study conducted with 500 children aged 12-15, which explored children’s awareness, use and perceptions of content providers, and their interest in and ability to make critical judgements about news and online content. More younger children (3-4s, 5-7s and 8-11s) are going online than in 2016, with increases of more than ten percentage points for the youngest two age groups. Much of this growth is due to the increased use of tablets. More than 9 in 10 children in all age groups watch TV on a TV set, which is the device children are most likely to “mostly” use to consume content. Older children are less trusting on news on social media than from other sources and use a range of measures to separate fact from fiction. Nearly 73% of online tweens are aware of the concept of “fake news”, and 39% say they have seen a fake news story online or on social media. Parents are more likely to be worried about the amount of time and the content consumed by their children than in 2016; the majority of parents agree nevertheless that the benefits of the internet outweigh the risks. Most parents use a combination of approach to manage their children’s internet use; just 1% of parents of 3-4s, and 4% of parents of 5-15s, do not mediate their child’s internet use in any of these ways. This research includes findings from Children's Media Lives report published on the same day. This qualitative study provides evidence about the motivations and the context of media use, and how media are part of daily life and domestic circumstances. It also provides rich detail on how media habits and attitudes change over time, particularly in relation to children's emotional and cognitive development. Children’s media literacy in the digital age, with a particular focus on new advertising formats, was extensively dealt with on the occasion of the 46th EPRA Meeting in Vienna. The findings of a bi-annual EPRA Working group on Media Literacy will also be available shortly.